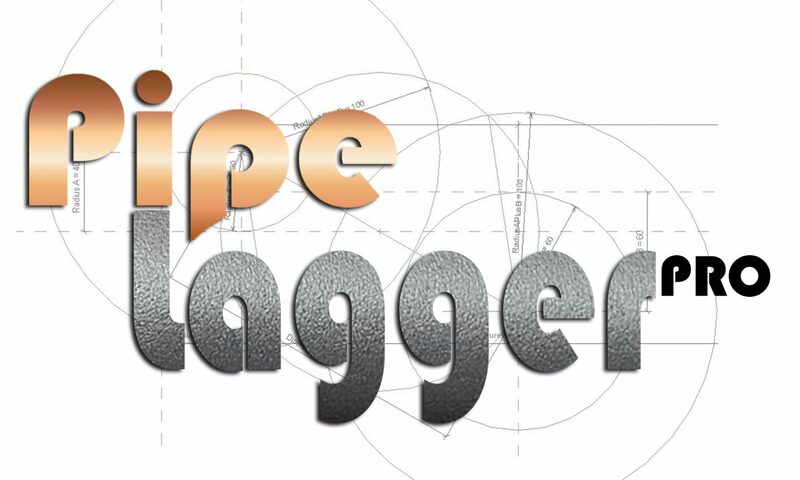 PIPELAGGER PRO MUST BE USED IN CONJUNCTION WITH THE PURPOSELY DESIGNED TOOTHLESS SAW THAT MUST BE SHARPENED BEFORE USE! 1. 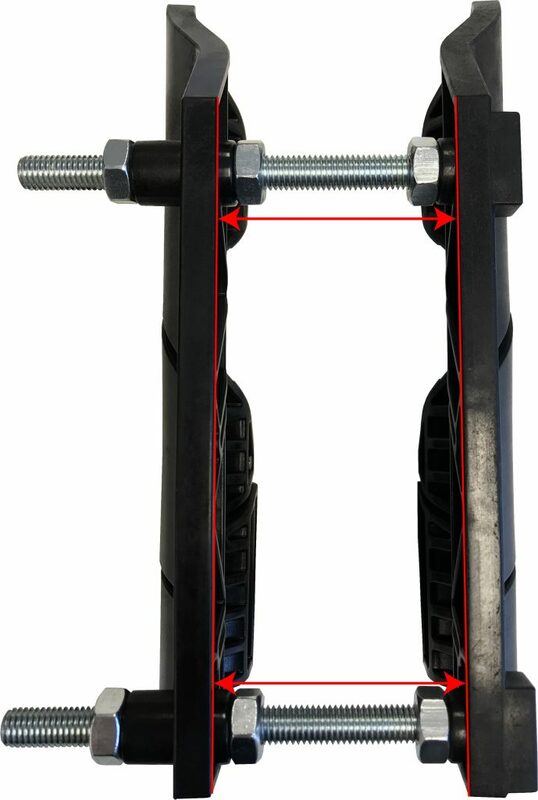 Insert each bolt head within each hexagonal recess located at the base of the clamp. 2. Wind two locking nuts over each threaded bolt until it reaches inside face of profile and tighten the first locking nut on each bolt with spanner (ensure the latter remaining locking nut on each bolt is left loose for adjustment during use), slide the opposing profiler over threaded bolts and wind final locking nut over each threaded bolt hand tight. (Please now refer to the adjustment guide below for dimensions prior to securing any locking nuts in place). 3. Adjust clamps and locking nuts accordingly as per guide, ensuring gap at both ends are dimensionally equal. 4. Load desired lagging (slight adjustment on locking nuts may be necessary due to lagging manufacturer tolerances varying slightly). 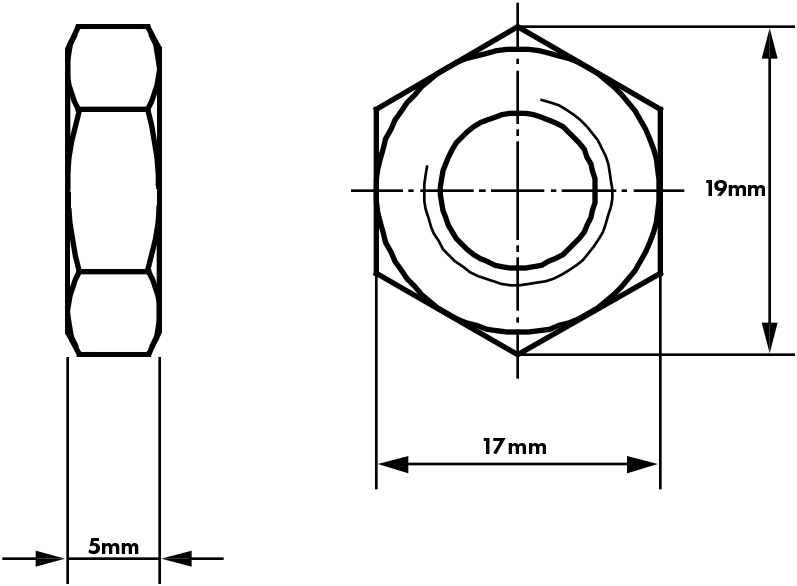 PLEASE NOTE: when using 15mm x 13mm thick lagging, the two locking nuts on each bolt between both profilers must be removed, (these can be temporarily placed on end of bolts to prevent loosing). DO NOT OVER-TIGHTEN CLAMPS AS THIS WILL DISTORT THE NATURAL SHAPE OF LAGGING AND PREVENT SEAMLESS JOINTS. ALWAYS ENSURE LAGGING SLIDES WITHIN THE CURVES WITHOUT TOO MUCH RESISTANCE. 5. Using the purposely designed saw, maintain contact at all times along the faces of each slot of V cut-outs. 6. 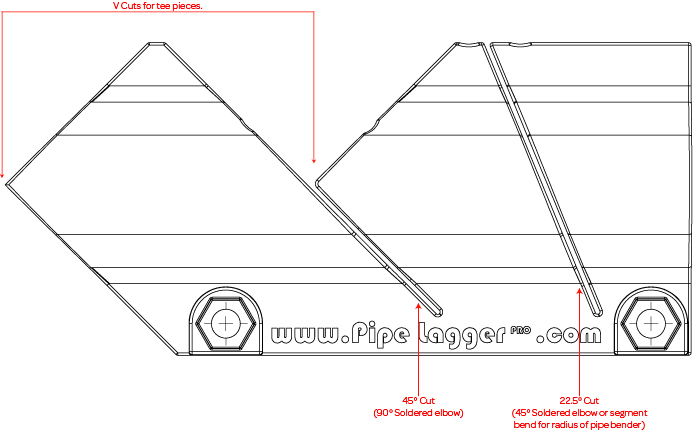 Measure and mark centre line of next cut, ensuring orientation of lagging is correct prior to next cut. Due to varying radius curvatures formed within different pipe benders,there are no definitive dimensions for the centre segment. Please refer to the diagram (below) to assist in achieving a segment bend to suit the radius curvature formed with your pipe bender. Form a 90 degree bend and indicate centrelines along pipe (thin marker pen). Indicate a line on each leg at the point where the centreline is at its very last point along the pipe so it forms a cross. This will now provide all necessary dimension points. Prior to every cut, rotate lagging accordingly within clamps so the manufacturers slit will not be visual once installed (this takes it to another level. 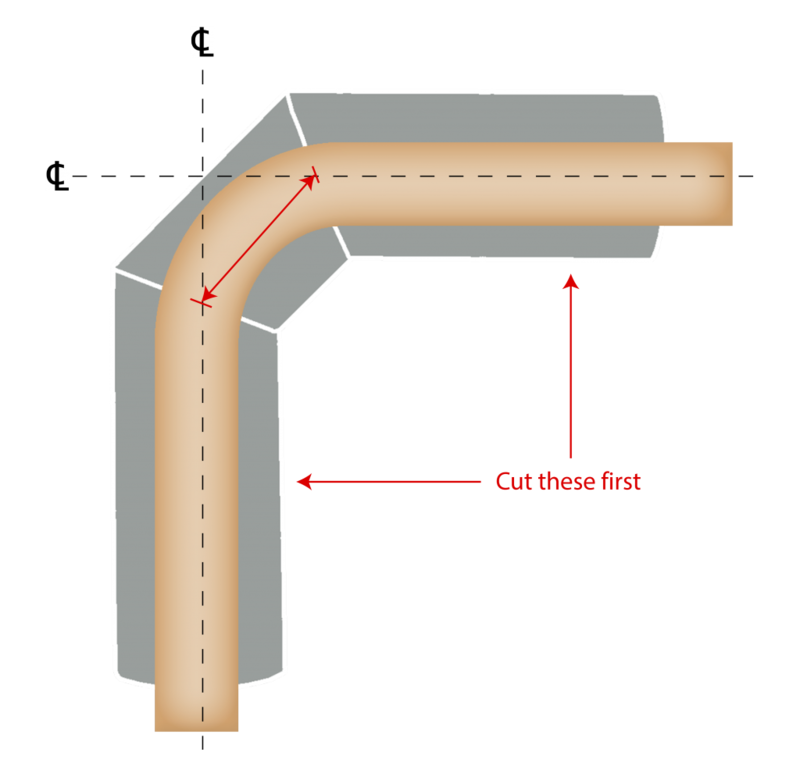 Try and avoid using m and f fittings between joints because the centre to centre distances are not achievable when lagging. Ensure the toothless saw remains in constant contact with edges of slots or V cut-outs. Ensure the toothless saw is kept very sharp at all times using the saw sharpener provided in the toothless saw kit. 2 X Profiles: Nylon 6 with 30% glass filled beads.